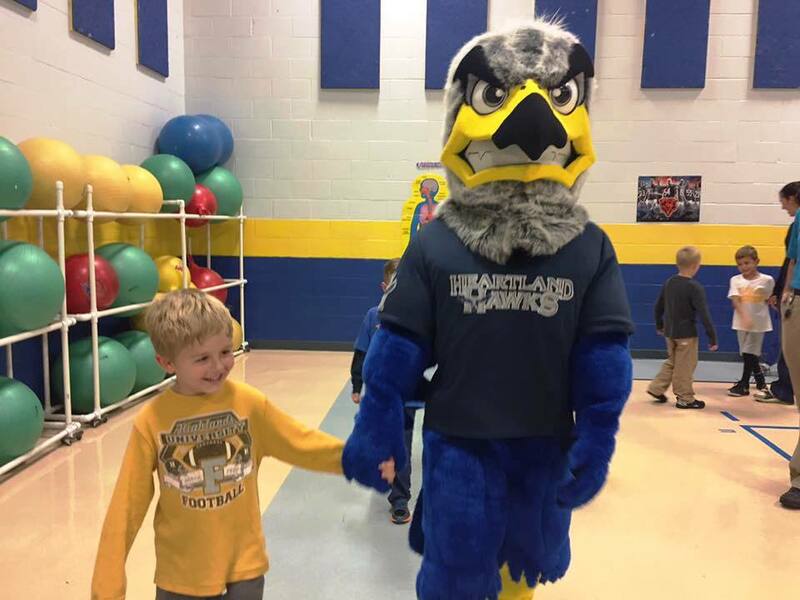 Thank you for your interest in scheduling our mascot, Hunter the Hawk. 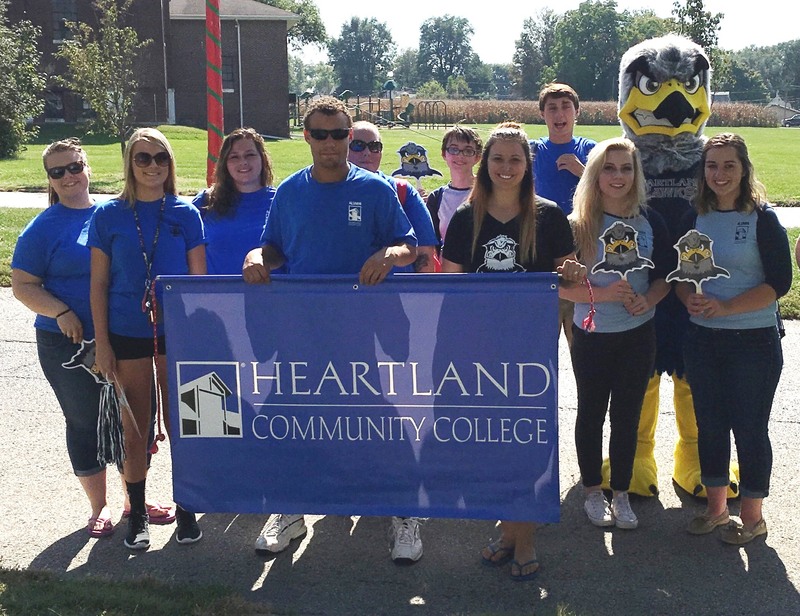 Should you have any questions, please feel free to contact us at gena.glover@heartland.edu or by calling 309-268-8188. Hunter loves sports and would be more than happy to attend your athletic event (no trash squawking, though). 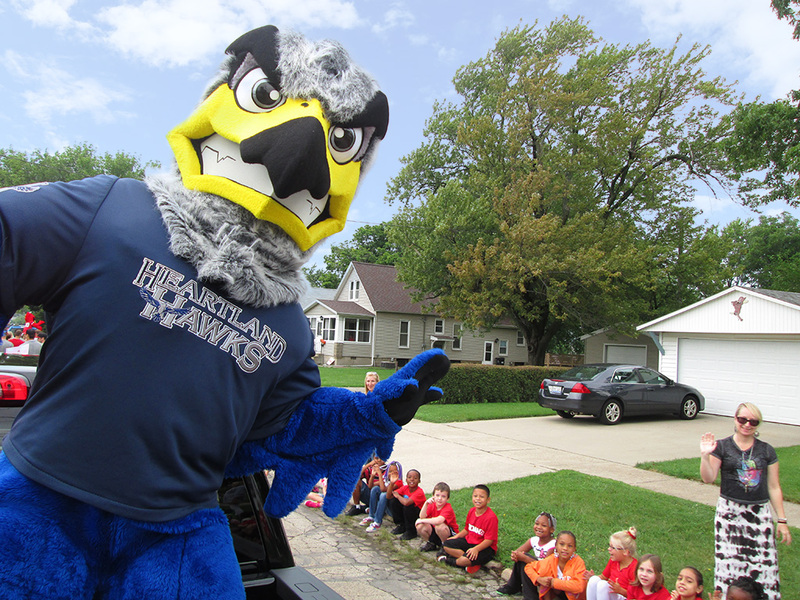 If you're a student or work at HCC and want Hunter to make an appearance, let us know. 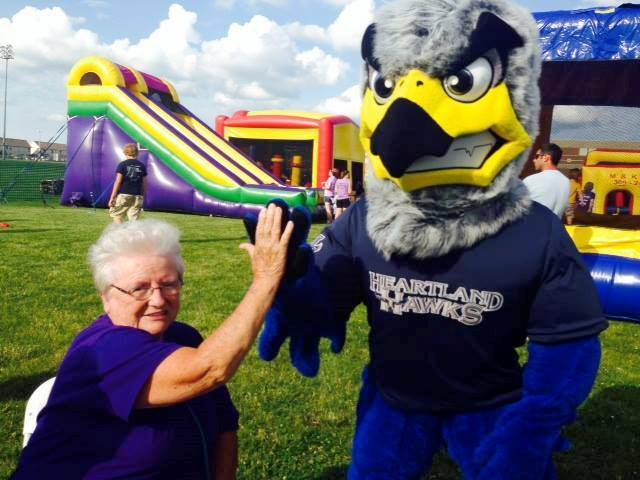 Hunter can fly in to liven up any school event within Heartland's district. Why fly when you can march? Contact us if you want Hunter to walk in your parade. Hunter enjoys getting out of his nest every now and again to meet his fans. We're happy to schedule Hunter for your next community event. Everybody loves Hunter. 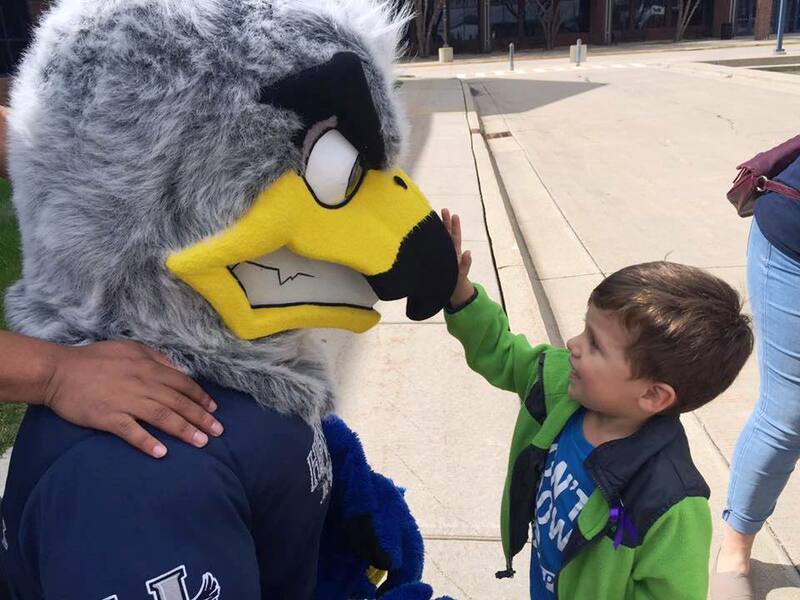 If you think your next event could use a big, loveable Hawk, let us know. Concept and design was unveiled at first alumni event, “Back to the Nest,” May 9, 2009. 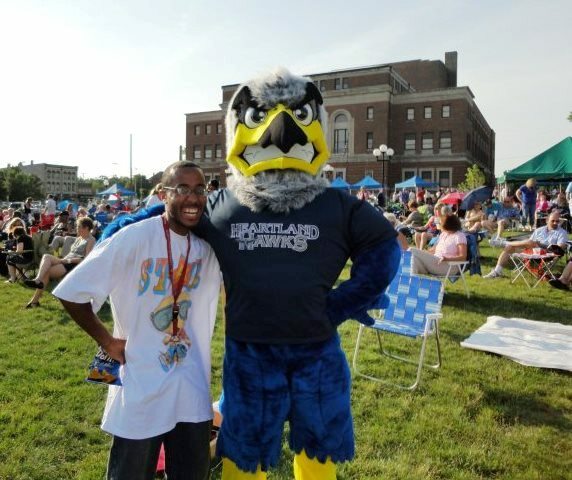 Hunter was “hatched”-First public appearance was at the inaugural CornBelters baseball game June 1, 2010. First Hunter performer was a Heartland staff member. First promotional item Hunter appeared on was a poster.